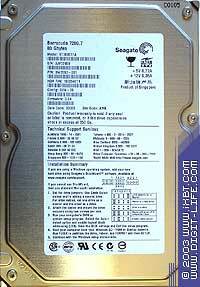 As I promised, I tested a 80GB drive from the Seagate Barracuda 7200.7 line - ST380011A. It was very interesting to see whether the results shown by ST340014A are on account of a certain sample or they reflect the real performance of this line. 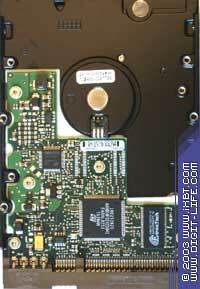 The drives look very similar to each other and differ only in the small but important figures. Zeros in names, whether of drivers, BIOS or firmware, were always confusing for me. As you can see, now this shortcoming is dealt away with. Let's see whether the updated firmware has influenced the performance. 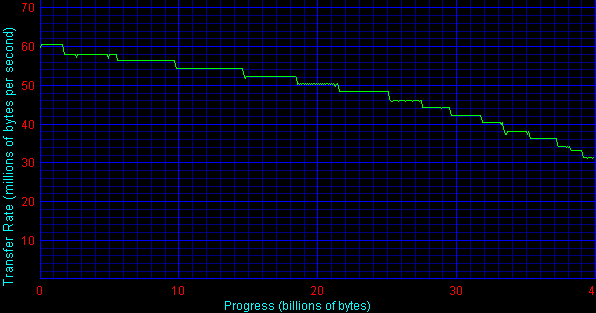 The first unexpected thing is that the maximum linear read speed has fallen down. The diagrams prove that. It's not that terrible, but makes me feel pessimistic. The average read speed is, therefore, lower as well; however, the average write speed is now a bit higher. Unfortunately, that's not a comfort. The performance hasn't changed for better... By the way, one of the readers (who signed anton) provided us with curious results of three ST340014A drives obtained with HDTach 2.61 Random Access Time Benchmark. The drives demonstrated 14.4, 14.8 and 15.2 ms on average respectively. Well, the sample I had wasn't the worst. Certainly, we can test Barracudas endlessly but does it make sense? After the previous review I was asked whether the access time obtained in the tests could depend on the Acoustic Management settings. I'm sorry I disregarded that. According to Seagate Automatic Acoustic Management Utility V1.01 and IBM Feature Tool V1.10, Seagate Barracuda 7200.7 drives DO NOT SUPPORT the asoucstic management mode. The Ziff-Davis WinMarks demonstrate parity. Now the most interesting part. Although the performance would hardly improve with the access time being the same, something must have become better in the new firmware! The problem with Seagate Barracuda 7200.7 drives is not open anymore for me. 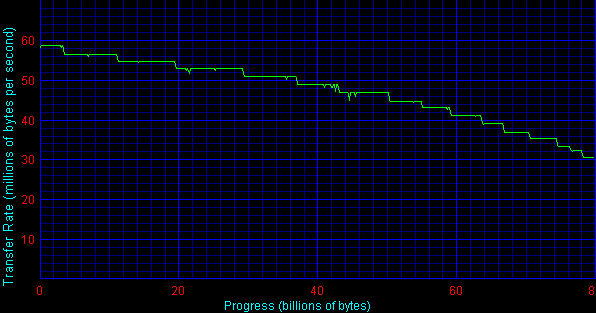 At least, until the models of an 8MB buffer come onto the scene.